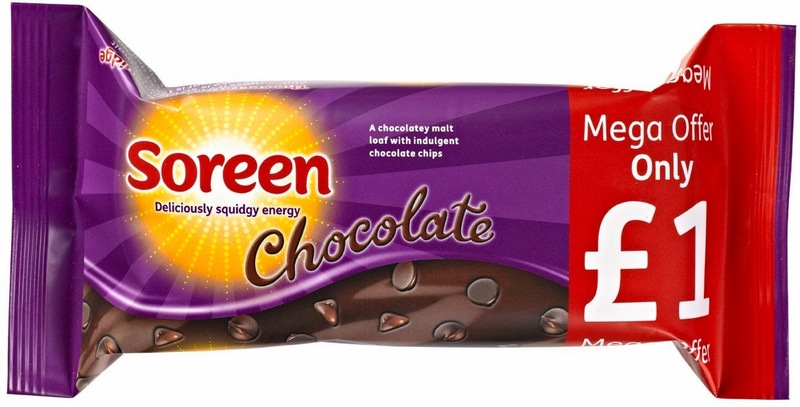 Soreen is a firm favourite treat of mine and has been for years! They have had different editions of their fruit loaf in the past, from banana flavour to cereal bar format, but this really stood out as something exciting, Chocolate Mega Loaf! Soreen asked me if I wanted to give it a try and very kindly sent a loaf over, the official packaging wasn’t quite ready so they also sent me over the photograph above too. The thing about this being a mega loaf is that it opens up a lot of possibilities, from cutting slices off and serving with custard through to having it with ice cream like a proper dessert. I do intend to give those a try but for the first test I went for the traditional neatly sliced and served with butter. What impressed me the most was how well they incorporated the chocolate into the flavour. The expected flavour of dark fruit was still very much in the frame, but along with this came a rich chocolate flavour that worked well with it. The texture was still moist, soft and squidgy, the addition of the chocolate chips throughout gave it a bit of substance as these bits were more solid.